← Queen – Tie Your Mother Down. Queen – You Take My Breath Away. Publicat pe 28 iunie 2015	de Cristi M.
On 12 August 2012, Queen performed at the closing ceremony of the 2012 Summer Olympics in London. 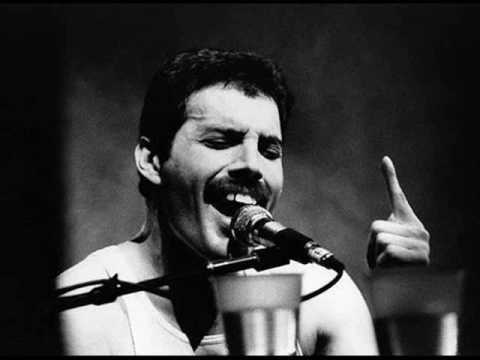 The performance at London’s Olympic Stadium opened with a special remastered video clip of Mercury on stage performing his call and response routine during their 1986 concert at Wembley Stadium. Following this, May performed part of the „Brighton Rock” solo before being joined by Taylor and solo artist Jessie J for a performance of „We Will Rock You”. On 20 September 2013, Queen + Adam Lambert performed at the iHeartRadio Music Festival at the MGM Grand Hotel & Casino in Las Vegas. On 6 March 2014, the band announced on Good Morning America that Queen + Adam Lambert will tour North America in Summer 2014. The band will also tour Australia and New Zealand in August/September 2014. In an interview with Rolling Stone, May and Taylor said that although the tour with Lambert is a limited thing, they are open to him becoming an official member, and cutting new material with him.